Stonebwoy graced the stage for the third time for an incredible performance of his hit ‘Top Shanka’ at Ashiaman To The World Concert 2018. The dancehall artist proved why he’s one of the biggest artists in the industry! Stonebwoy made quite impression during his performance at the Ashiaman To The World Concert 2018. The dancehall artist hit the stage towards the end of the ceremony to sing his hit “Top Shanka.” Stonebwoy was calm, cool, and collected during the performance. He made the performance look absolutely effortless. 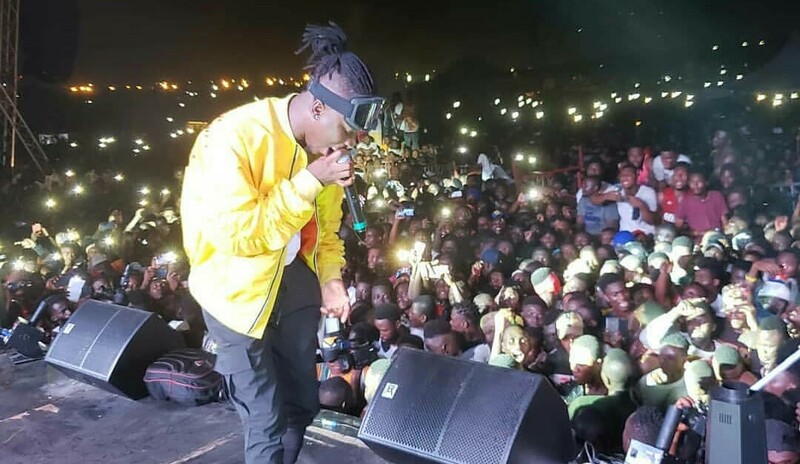 Samini, Kofi Kinaata, D Black, Kwaw Kese, Sarkodie, and more graced the stage during the concert for fierce performance, and Stonebwoy held his own when it was his turn. Bhim Nation! After that performance, it’s clear we’re going to be seeing a whole lot more of remarks about his performance together with the concert on the internet, radio and television. Missed Stonebwoy's Ashiaman to world performance, watch it below.